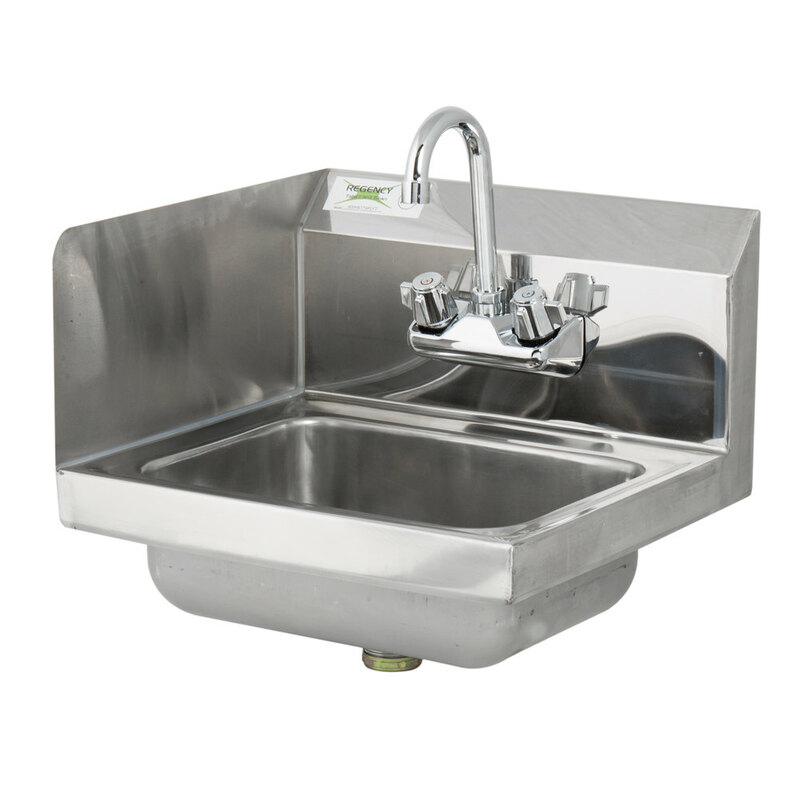 Keep your restaurant up to code without sacrificing space with this hand sink with a left side splash. 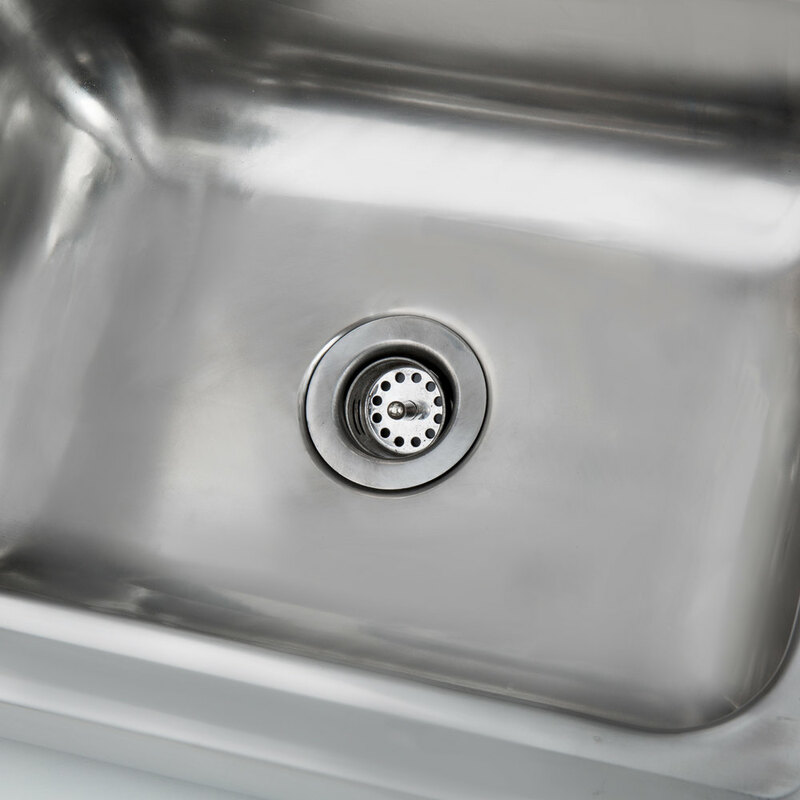 Suitable for wall or surface mounting, this sink comes standard with a single 14" x 10" x 5 1/2" bowl and 8" high back and side splash. 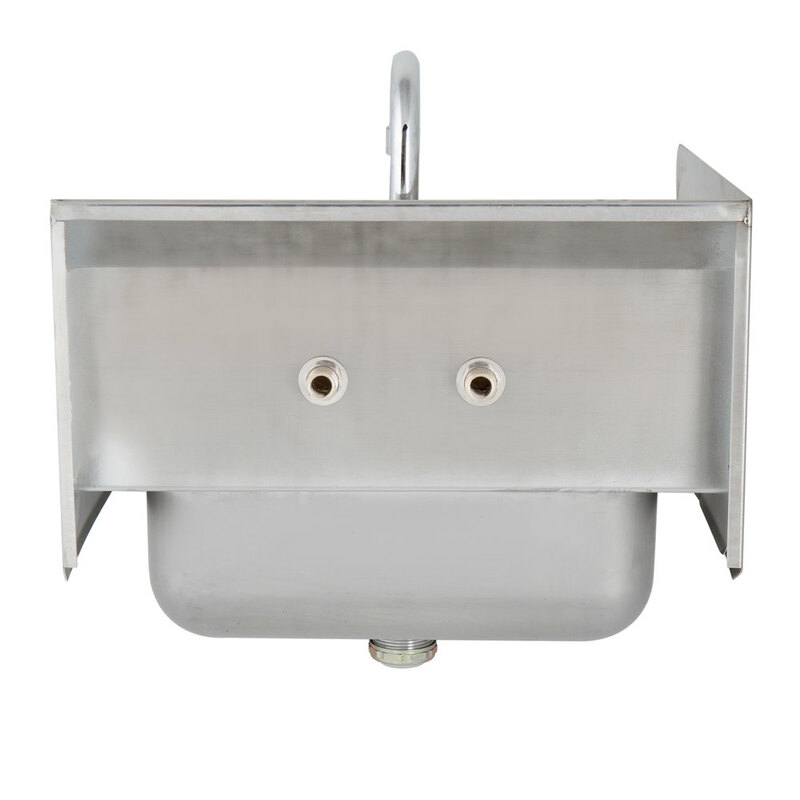 Additionally, this hand sink has two holes punched on 4" centers to accept its included Regency 8" gooseneck faucet. 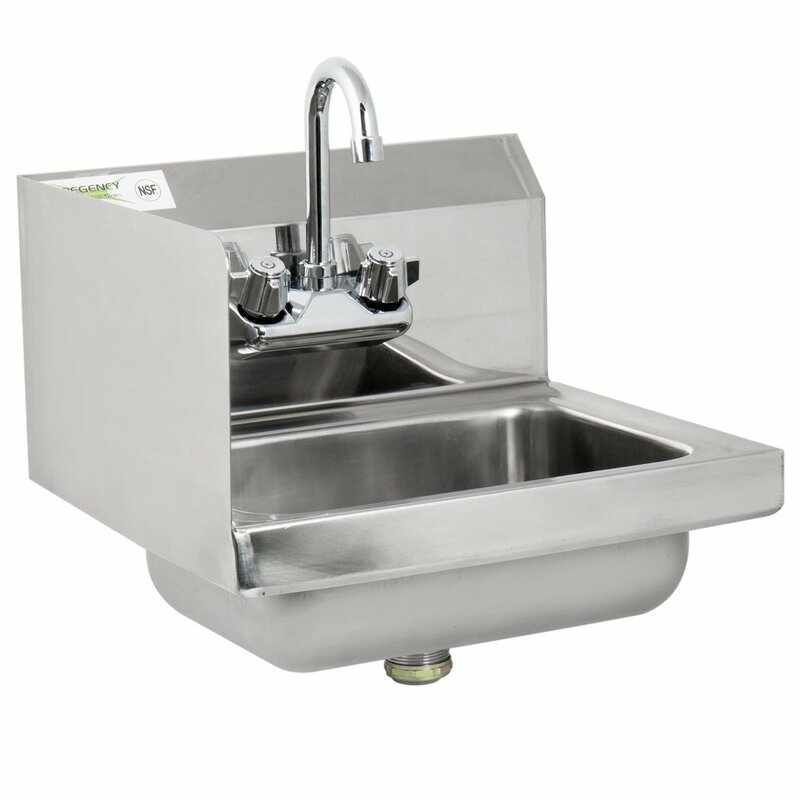 This sink offers an economical, 20 gauge type 304 stainless steel construction for its top, bowl, and backspash, in addition to 18 gauge type 304 stainless steel side splash and a wall mount clip. It comes standard with a 1 1/2" IPS drain basket. 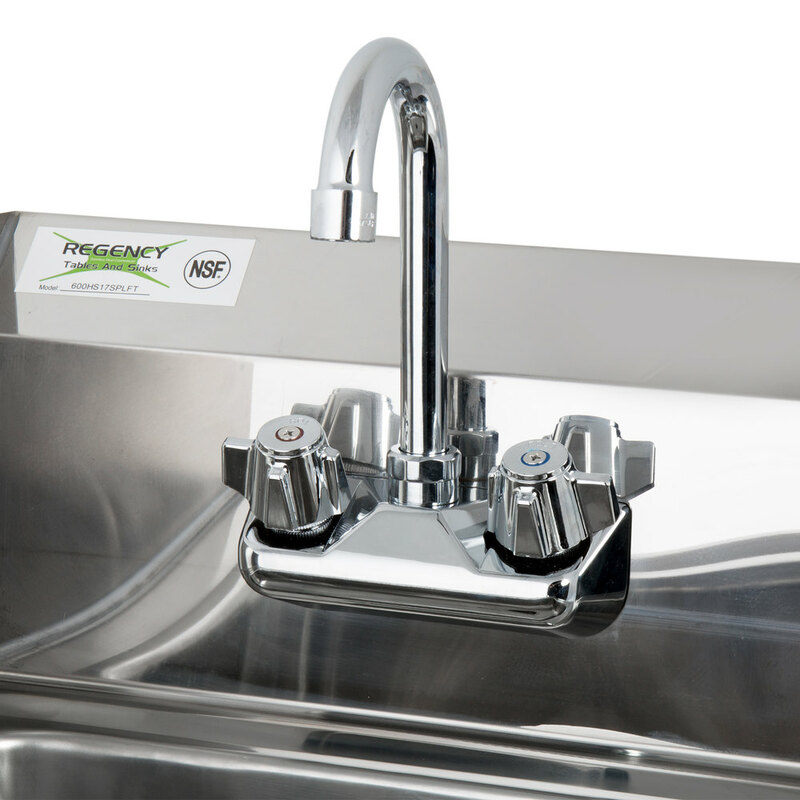 Installation Note: A wall clip is included with the hand sink for mounting; 3 screws are needed to mount (screws sold separately). Installer must mount in studs or use dry wall anchors if studs are not accessible.